Writers on writing. 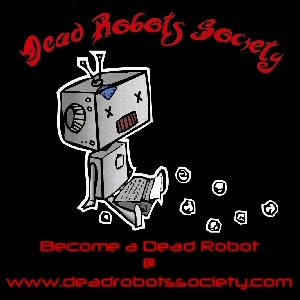 The Dead Robots' Society, a gathering of writers podcasting to other aspiring writers, hoping to help each other along the way to the promised land of publication. Terry and Paul found a topic. Pretty sure they immediately lost it. Enjoy the show? Consider becoming a Patreon supporter and for as little as $1 a month, you can help keep the podcast free and receive exclusive content. More information at "http://patreon.com/drspodcast". DRS Episode 540 - Leah Lederman and "Cafe Macabre"
Author and editor Leah Lederman joins Paul and Terry to discuss writing, editing and her kickstarter "Cafe Macabre." Like the show? Considering becoming a Patreon patron or purchasing one of our stories and thanks for watching. Paul and Terry discuss a little point of view, a little point of plot, and bad ideas for choose your own adventure stories.